Once upon a time there was a young girl of eleven who was very impressionable and open to suggestions of all things good and bad. She loved fairy tales and happily ever after and spent many a day and night dreaming about what life would be like in the future—would she have enough money to buy season tickets to the Denver Broncos? Would she be beautiful and have a handsome husband? Would she ever be elected to the Supreme Court (without having to become a lawyer and all of the pesky stuff that comes with being elected to the Supreme Court)? Life was a big question mark for that girl and she really, really hoped for the best. She knew that she wasn’t one of the popular people in school and that she would never be able to match up with others in her junior high that seemed to know how to dress, act, and ooze coolness. It caused her no end of grief to know that her lack of confidence (and a lazy streak that would keep her from volunteering for various activities) just wasn’t the kind of attitude that would get her anywhere with the “it” kids. Knowing that she really didn’t want to put in the time being friends and schmoozing with those that might put her in the upper level of preteen power politics, she just kind of sat back and watched the parade go by. Eventually she made friends that would still be in her life thirty years later, but it took a lot of courage on her part to talk and hang out with those people. Never a pastime that was very easy for her to take on, she managed to share enough of herself to get invited to a party or two and (at the very least) have companions to sit on the bleachers with during school dances when there was nothing to do except listen to music and, well, dance (which was pretty much the last thing anyone wanted to do). Having friends suddenly became paramount and she entered a new phase of obsessiveness concerned with getting as many friends as possible. She eventually found a good core of people to share her time with, but it was never far off of her radar to try to be as popular as she could possibly be. Girls those days wore stone-washed jeans that rolled up at the ankles to show off cute ankle socks and had hair that reached for the moon. A cute pair of suspenders were almost never frowned upon and make-up was applied generously and religiously. Kids were already starting to pair off into couples and would be glued at the hip (and hands) between every class during the day. She was envious of these people and wondered how she might be able to find a cute boy that would want to hold her hand and hang out with her in the cafeteria during lunch. She became convinced that it was her appearance that was keeping her from moving forward socially. Forget her inability to talk, smile, or just hang out. Her standard uniform of the day was second-hand jeans with a bell-bottom flare, a t-shirt and an olive green jacket that would have looked like crap on anyone that was clueless enough to put it on (which was pretty much her every day of the week). That jacket wasn’t in place as any kind of fashion statement, but more as a security blanket that made her feel protected and shielded from any questioning eyes. Little did she know how many more people looked at her and judged–she would have been mortified had she known. The belief that improved looks would greatly affect her position in the school hierarchy soon dictated a decision that she would make about herself. She vaguely knew that her clothes weren’t of the best quality (second hand stores don’t usually have the really trendy labels) and there wasn’t much change to be made in that department, but she was absolutely sure that something could be done about her hair. Short, thin, and mousy brown, her hair always seemed to look as if a comb would get permanently stuck within the strands if she really tried to brush it out. It was decided—the hair had to change. 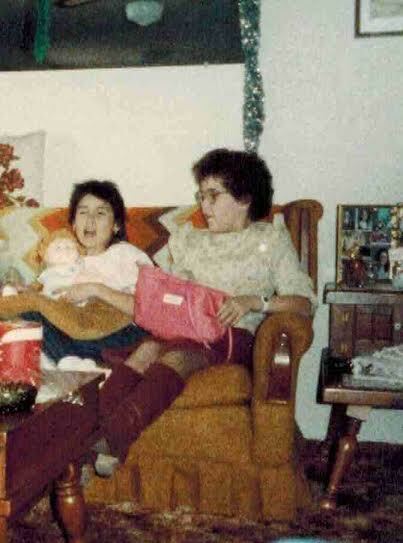 Being a girl that watched lots of movies and enjoyed reading her mom’s celebrity magazines (her family never had any money, but always seemed to have the newest issue of People Magazine laying around—hmm) she decided the exact hairdo she wanted to have done. Kathleen Turner had just been in The Jewel of Nile and had been in a video for the movie’s theme song. She was dancing and singing with Michael Douglas and Danny Devito, and she had the loveliest blonde curly (poofy) hair that the girl had ever seen. She immediately went to her mom and told her that she wanted curly hair. Her mom was no stranger to perms. She herself usually went to get her hair re-done at least twice a year at the local beauty college. When the girl told her mom that she wanted a perm too, the mom was more than happy to see if they might be able to get an appointment for the next weekend or so. To go to a licensed hair dresser would have been too expensive, but a trip to the beauty college would be much cheaper and easier to secure a reservation. Within a few days the appointment was set up and the girl was on the edge of madness with her excitement of what was to come. The beauty college was located in a small section of the local shopping mall and young women chatted noisily as they worked on their various customers. The smell of hair product was overwhelming and left no doubt as to the kind of work that was being done (plus, there were so many chemicals in the air that they started to burn her eyes). The girl was quickly led to the back of the building and ensconced in a large padded chair that would be her home for the next two hours. Her insides started to churn. The beautiful hair-dresser asked the girl what she would like to have done and the girl launched into a full blown re-enactment of the song video and the lovely Kathleen Turner. The woman nodded her head in the confident wise way that some people had when they were conveying the message “I got this.” The confidence that was being showered on the girl went a long way to making her feel better about going to a hair school for her perm. (Not that she had much of a choice where she was getting her hair done anyway since there had never been a time in her life that she ever had more than five dollars in her pocket.) It was time for the show to get on the road. She should have been more vocal about her observations from the first moment the cart with the curlers came rumbling over the linoleum floor. Where she wanted big bouncy curls, she saw tiny little green and blue curlers with tiny holes cut out. When her hair started to get divided and pulled into the curlers so tightly it made her head ache she should have gathered enough courage to ask if they were prepping for the right perm. But she was overwhelmed and she was scared and she was only eleven. Whatever was going to happen was going to happen. After forty-five full minutes of hair torture the hair dresser attached one heated clamp to each roller. The girl’s scalp started to burn in muted pain and she tried to shake the feeling off, only to realize that the curlers were so heavy that her neck could barely keep her head straight up and down. Something definitely was wrong and she didn’t know what to do about it. The heat clamps stayed on for several minutes then were quickly removed. Smelly solution was added to her hair and promptly snaked down her neck and down her shirt. Her agony was complete. Her achy head was very happy when the process was almost completed. She gladly let herself be guided to the chair at the washing station and leaned back into sink. The hair-dresser started to rinse the solution out and the feeling was divine (except for the stream of water that snaked down her neck and down her shirt). Regaining her enthusiasm for the whole process, the girl started to squirm in her seat—it was only a matter of minutes now. The mom that had been in another area reading her People magazine (of course) slowly meandered over to see how the experiment had fared. It was all so very exciting. Walking back to the large black chair, the girl held on to the towel that had been wrapped around her head very tightly—she didn’t want to see anything until the exact right time. The hair-dresser turned the chair from the mirror and began to dry and pick out the newly minted curls. Her mom was looking very intently at her daughter but never gave the impression that anything was amiss. She nodded and looked and looked and nodded and the girl felt very sure that she was about to partake in one of the best moments of her life. Look out world! The chair turned around and, um, yeah, it sucked. Big time. Where were the big beautiful curls? Where was the bounce? The beauty? The—well, the anything, really. It just sucked. Her eyes instantly filled with tears and her lips started to tremble. This wasn’t Kathleen Turner! This was Little Orphan Annie! She wished for it to go away and all be a bad dream, but…there it was. The nerd was now an even bigger nerd. How was she going to go to school with a hair helmet? Her mom kept reassuring her that her hair was beautiful and everyone was just going to love it, but she knew better. It was a disaster, plain and simple. She lived through it, of course, and eventually she stopped being angry at the betrayal she felt had been laid upon her by the hair-dresser (okay, and finally realizing that Kathleen Turner’s hairdo could have been accomplished with a good curling iron) but the facts were that she never got popular and she never got pretty. Her clothes didn’t change and the boys didn’t want to hang out with her–but she lived through it. She didn’t go back for a perm for a very long time and she never, ever got one called the UniPerm ever again. We’ve all had those moments. I remember my husband telling me my face looked fatter -after just getting a perm that I thought would make me more beautiful. Those moments help to mold us, into lovely women. Oh man, that is seriously harsh! We put so many expectations on things and then we get blindsided when things don’t go as planned! Thanks for commenting and reading my story. I appreciate it! I wasn’t trying to be harsh -I was agreeing with your suffering. I was simply saying -we are one. Sorry, if I offended you. Wrong choices of words. No.no. sorry, I was referring to the comment your husband made after your perm. That seemed harsh. Sorry I didn’t make that clear. No offenses taken at all. ah, yes it was. he is a great man -but everyone once in a while -he is an idiot. How in the world did the hairdresser confuse the two? As an eleven year old, most people are bound to look awkward. My eleven year old pictures tell me that it was not my most glorious year. In other words, your pictures are fine, but that hair dresser must have smoked something before going to school that day. Or she was determined to give an afro to the next person who wanted a perm. Oh god. 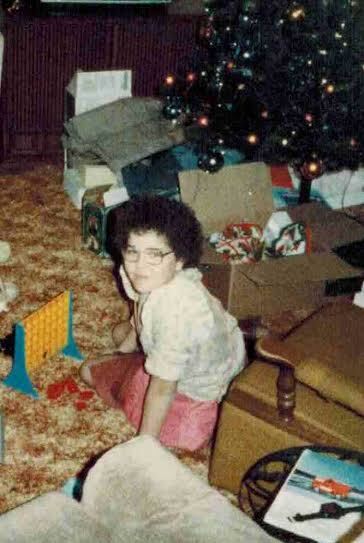 I had that perm–twice. My auntie was a basement hairdresser. When I was dragged back for the third time, I got the top and one side permed and shaved the rest. It was the eighties, after all. It didn’t make me popular but I felt pretty frikkin cool. But when I see the pictures now, omg. It’s funny that when I wrote this story I was just hoping to write something I found funny. Only half way through and I realized that I had actually been traumatized by that incident–and now I’m seeing that there are a lot of us that had this experience! It’s amazing. I’m glad you had the guts to do whatever you wanted with your hair after that experience. I would have never done that! Oh, the hair trauma. I started writing a super long reply to this and I realise actually I have to blog about it, haha! Let it out! Let it alllllll out! I can relate to bad perms, hair cuts, and color jobs. I pretty much do my own hair these days. It is healthy and shiny – that’s what counts. That is what counts! I, myself, haven’t jumped completely off the perm bandwagon, but my starting hair is much longer and I am VERY specific about what size curlers get near my hair! Every perm I ever had ended up with too curly hair (frizzy) initially, followed by not enough curl/body eventually. Haven’t had a perm in years–although I can’t really style my hair the way I want to, I think I’ll never have another perm. I have the same experience with perms, but I still like to get them because it’s just so easy to get up and go in the morning. I think the word PERMANENT throws me off. We know that it isn’t really permanent but it feels that way. Oh, I remember the days of ‘Toni’ permanents…as we called them in my day. I have never heard of a “Toni” permanent. Is it similar to UniPerm where you end up with an afro? I looked up some photos about “Toni” perms but I couldn’t get a good visual! I feel your pain. When I was six months pregnant with my second child I got the same perm. We called it an “Afro”. I had the same desire to be hip as you did as a child! You should have seen me – big round head and big round belly and big round glasses. What a disaster. Oh no, I totally understand! Do you have pictures from those days? I don’t usually bring attention to these kinds of moments in my life but I really felt the story bursting to get out. It took me a lot of courage to post my pics. I can kind of laugh at them now, but it still makes me a bit sad.